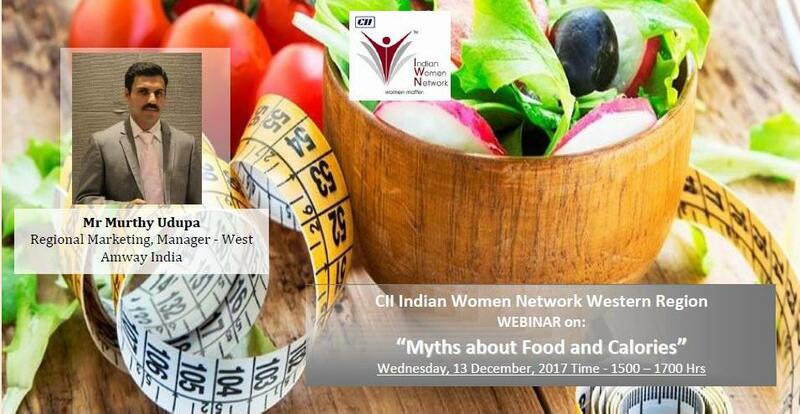 CII Indian Women Network Western Region in association with our Wellness Partner “Amway” organized a Webinar on “Myths about Food and Calories” In this hectic and busy lifestyle, there is always an issue in consuming food in terms of quality and quantity. Let’s understand what type of food is good and what the calorie requirement to maintain a good health. Mr Murthy Udupa, is the Regional Marketing Manager - West, Amway India He is Post graduate in Clinical Research with Pharmacy background, having an experience of more than 16 years in Nutrition and Supplement industry.